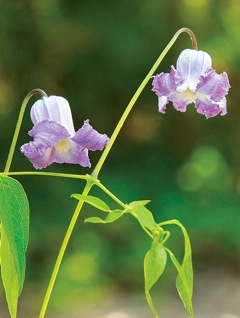 Showy-flowered clematis for a small area, whether climbing on other plants or a trellis. Prefers moist soil. 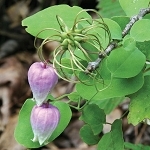 Also known as "swamp leather flower", Clematis crispa has a C value of 8.